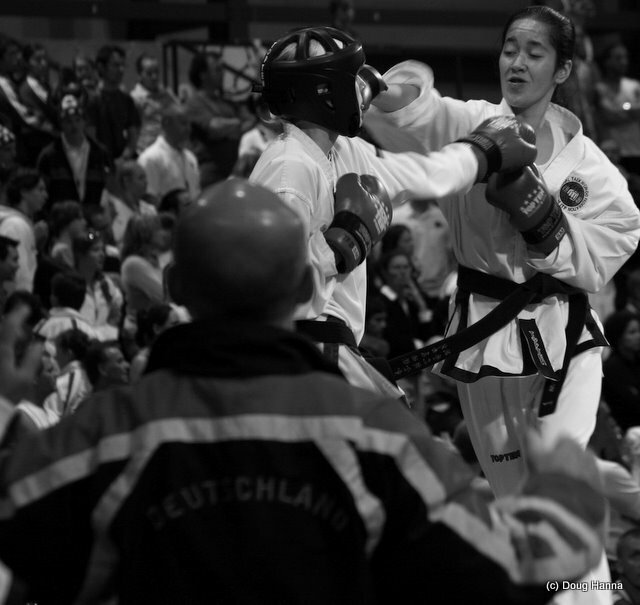 The German coach is captured in an animated stance in the foreground while seconding his student who is taking a hit from Christine Topia in the 2007 World Champs in Quebec. Jeremy Hanna, seconded by Mark Trotter prior to going onto the ring at the World Cup in Italy in 2008. It's the 2009 World Champs trials and Carl van Roon and Mark Trotter are giving Erica Germain instructions and encouragement during timeout in her critical three minute sparring round.